The development came after CPI(M) submitted a written complaint about PM Narendra Modi's address to the nation today on "Mission Shakti". 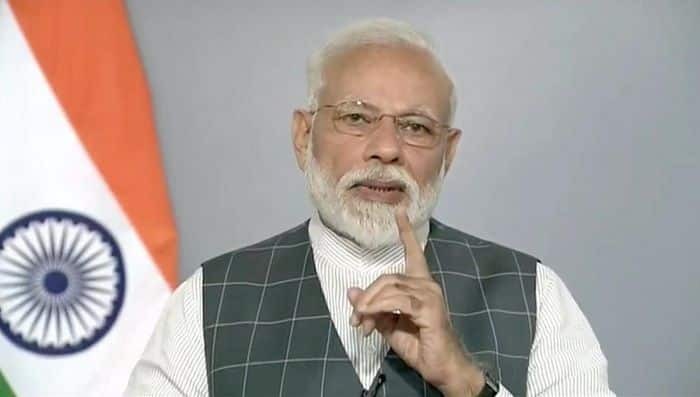 New Delhi: The Election Commission of India (ECI) on Wednesday directed a Committee of Officers to examine the matter regarding Prime Minister Narendra Modi’s address to the nation on Mission Shakti in the light of the Model Code of Conduct. The EC said that it had ordered an immediate examination after the issue was brought to the notice of the poll body. The development came after CPI(M) submitted a written complaint about PM Narendra Modi’s address. “This announcement comes in the midst of the ongoing election campaign where the PM himself is a candidate. This is clearly a violation of the Model Code of Conduct,” the letter stated. The Opposition has attacked the PM in one voice over the address. West Bengal Chief Minister and TMC leader Mamata Banerjee termed it a gross violation of the model code of conduct. She had said there was no great urgency of announcing the mission by a government past its expiry date. The Election Commission (EC) had also said that the PM Modi biopic starring Vivek Oberoi may have violated the Model Code of Conduct. After the trailer released, the Chief Delhi Electoral Office sent a communication regarding the same to the filmmakers and is awaiting a response. As per reports, East Delhi Returning Officer K Mahesh had issued suo motu notices to the production house as well as music company of PM Narendra Modi on March 20. The notices were also issued to two newspapers for running the biopic’s ads. “If any pre-certified political or surrogate advertisement is circulated, it is a violation of Model Code of Conduct. Whosoever has done it is given an opportunity to explain their stand,” said Delhi Chief Electoral Officer Ranbir Singh.